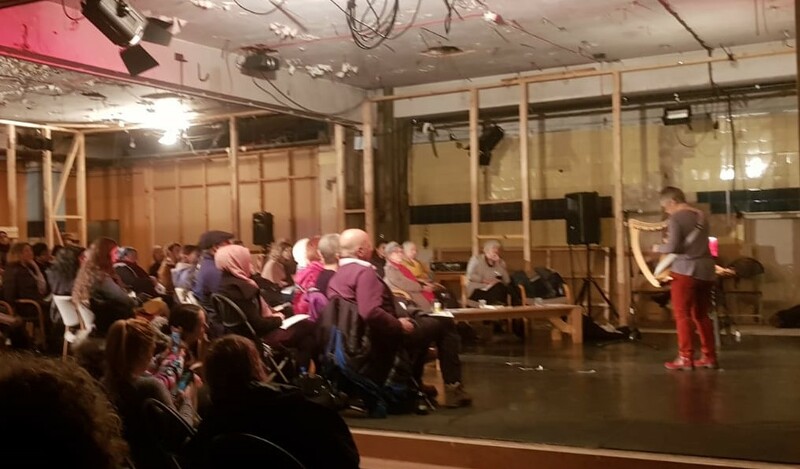 Wales PEN Cymru celebrated International Women’s Day with an evening of poetry, stories and music on 9 March 2019 at Volcano Theatre, Swansea. Jeni Williams introduced performers Nia Davies, Saba Humayun, Sandy Ibrahim, Delyth Jenkins, Jo Mazelis, Margot Morgan, Grug Muse and Hannah Sabatia. Organised in collaboration with Wales One World Women’s Film Club and Swansea Women’s Asylum and Refugee Support Group. 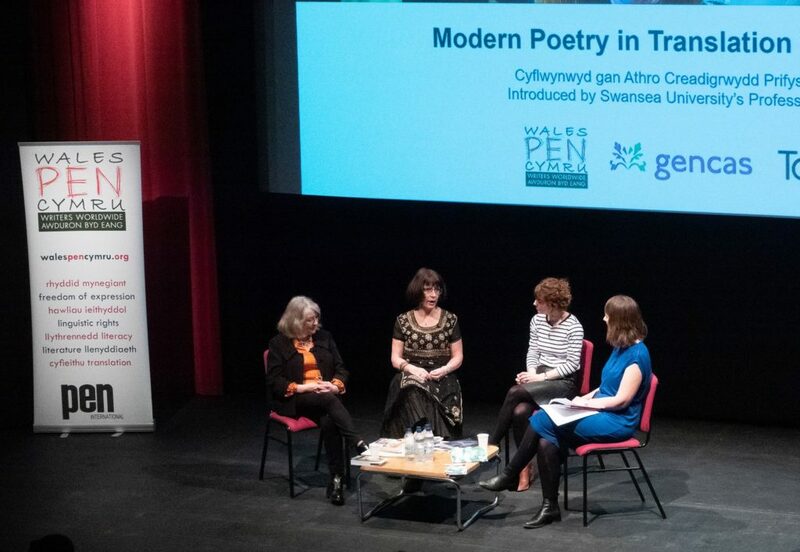 Wales PEN Cymru teamed up with Swansea University Cultural Institute to host the launch of the latest issue of Modern Poetry in Translation (MPT) and celebrate International Women’s Day, at Taliesin Theatre on 14 March 2019, under the title ‘Women of Britain’. Introduced by Owen Sheers, MPT editor Clare Pollard chaired a discussion on poetry, women, and the diverse languages of the UK with Menna Elfyn, Jeni Williams, and Liz Berry, followed by readings by the four poets.